Update: A few people have criticized my spending only a single Friday night in Manchester. I meant to highlight the fact that that my experience isn't comprehensive, not to imply I think I have some deep understanding of the place after just one short weekend. However I realize it may have come off as the exact opposite. So to clarify the limited scope of this post: I was in Manchester for a short time, and some specific differences in culture stood out. There is obviously an infinite set of things that I didn't experience that would be at least as interesting and important, I just didn't observe them. I should say "within minutes of leaving my hotel room", because it took me a bit longer than usual to leave the building. I went down the stairs to the lobby, at which point my path was blocked by a 50-something British man sprawled on the floor with a Rudolph-red nose and his potbelly hanging out under his shirt. Two hotel employees were bent over, trying to help him get up. He'd passed out at the foot of the stairs, apparently having stumbled on the first step. He called up to me, repeatedly slurring "I'm sorry, so terribly sorry..." as his eyelids drooped disobediently. The hotel staff refused my offer to help and pushed his heavy body to the side to make a path to walk through, and I made it to the door. Having escaped the hotel lobby, I made it no more than a block or two when a rotund middle-aged woman wearing kitten heels staggered up to me. Rummaging around in her purse, she slurred "Hello, erm... hello, could you erm... help me?". I said "Sure, how can I help? ", and she stood there for a moment. Then success, she found what she was looking for in her purse! She whipped it out—a cellphone—and asked "Can you help? Hello, miss... erm... is this my cellphone?" Not sure what to say, I stood there and replied "Uh, yeah I think it is!". She asked "Are, are you sure...? ", and I said "Pretty sure! Do you need any help getting home? ", but instead of responding her eyes just sloped to the ground and she walked away. On my way again. A smashed group of 30-somethings walked ahead of me and kept having to stop to explain to one another where it was they were going. They walked under some construction scaffolding, and one of the men stopped dead, his eyes frozen on the posts holding up the structure, which were padded with a thick foam. He crouched into a boxing position and proceeded to spar with the posts. Uppercut, jab, jab, the a sucker punch! His companion watched on with a dazed look, both blocking everyone else on the sidewalk. Kick, jab, uppercut... victory! Satisfied with his triumph, he signaled to the group that they could continue onwards, and he walked with his chest a bit more puffed out, basking in the glory. He was clearly very proud of himself. After a delicious Ethiopian meal, I walked back home to finally surrender to jet lag. The streets were nearly empty, but again I found myself behind an inebriate. He zigged and zagged along the narrow sidewalk, every once in a while teetering over the short curb into the street into oncoming traffic. I prepared myself to grab the man if his swerving were too poorly timed, but luckily the few passing cars kept a wide berth around the well-oiled pedestrian's sporadic encroachment of their lane. All ages participated in this insobriety, from 18yo clubbers to 50yo pubbers to 80+yo vagrants. No age discrimination in Manchester! 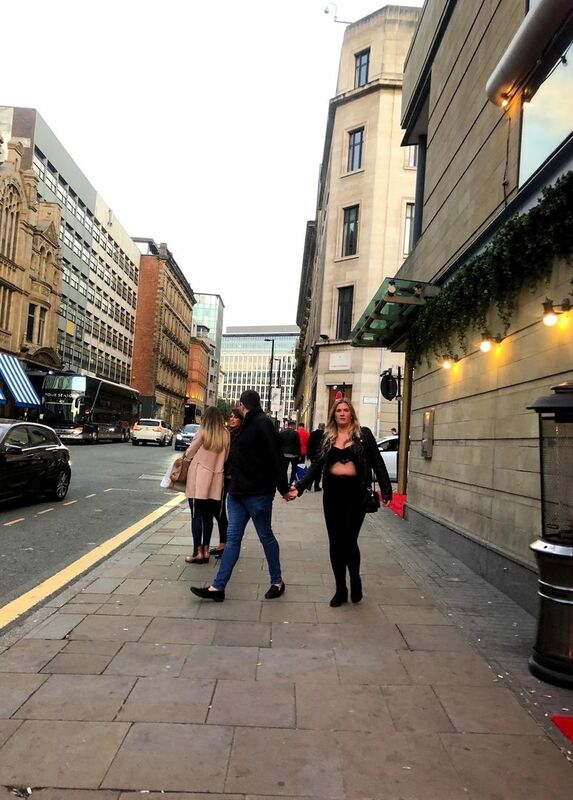 Manchester is a fairly multicultural place, with lots of immigrants from Ethiopia, India, the Caribbean, and more, yet the only visibly smashed people I saw on the street white Britons as far as I could tell. It's unclear if they drank far more than what I'm used to seeing or if they were just not very good at holding their alcohol. My guess it's a bit of both. Perhaps more importantly, there was no shame—personal nor schadenfreude—around how publicly smashed everyone was. And I mean everyone was brazenly impaired. In all the places I've lived—including a college campus!—it's embarrassing to be wasted. 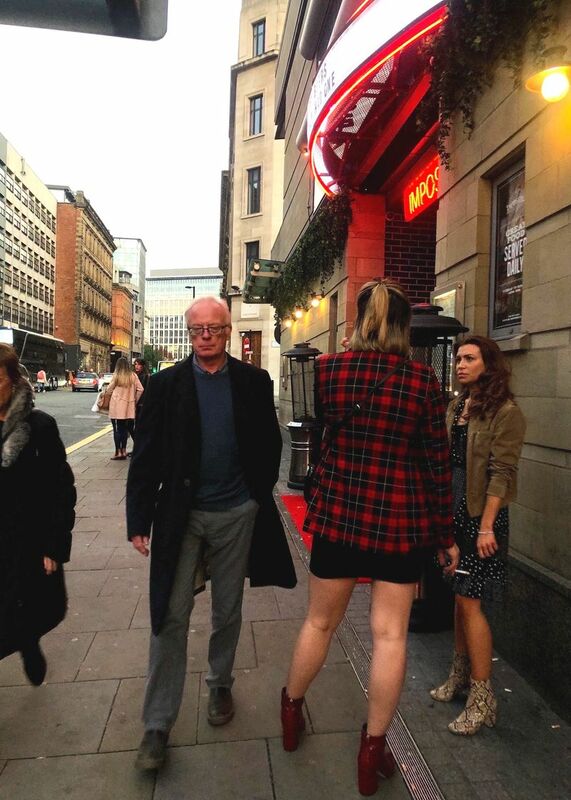 In Manchester it was quite ordinary. 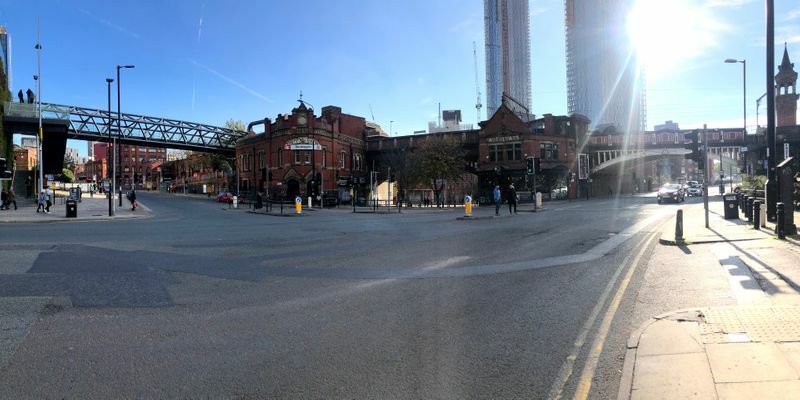 A former manufacturing powerhouse, Manchester has a similar vibe as the dilapidated industrial towns of the Rust Belt. 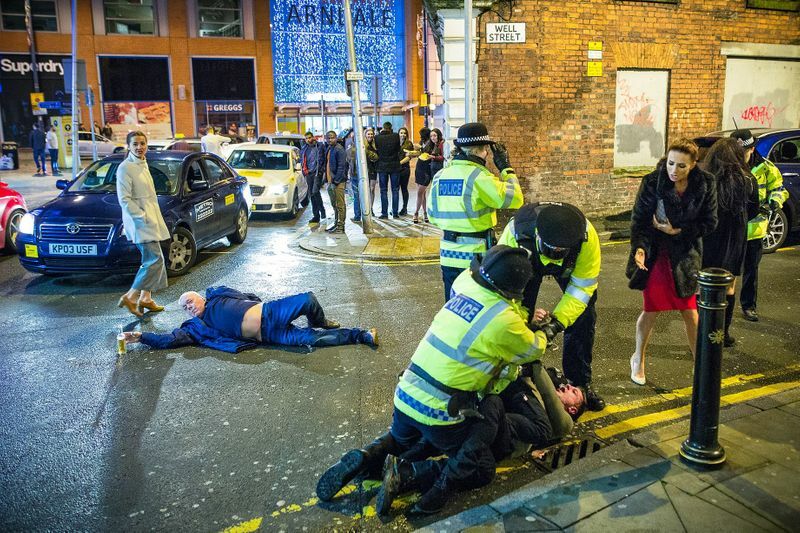 While their American counterparts have responded with depopulation, which brings a quiet melancholy to the streets, Mancunians have responded by getting plastered. They seem to be having a fairly good time, but it's quite horrifying as a visitor. My favorite place in the city was a quiet, peaceful park called Saint John's Gardens. Great underlying street structure, but all of the development in the last 100y appears to be pretty terrible. The core of the town was human-scale and walkable, with small blocks and tightly connected streets (likely remains of its days as Roman fort). But even parts of this old urban skeleton were appropriated for car traffic, and the newer bits of the city beyond the belt road were monotonous and unwelcoming on foot. Goes to show that you can mess up even traditional cities if you try hard enough. Walked around a bit in a neighborhood just outside the core of town, and it suddenly felt like I was in a Guy Ritchie film. Terrifyingly tall buses screeching around corners, like the Knight Bus in Harry Potter and the Prisoner of Azkaban. While I love narrow streets, the tight quarters didn't do any favors for making the traffic less unpleasant. People seemed to drive at roughly the same speeds as in the US (though likely slower, in reality), but it felt much scarier because it was just inches from the sidewalk. Crosswalk waiting times took ages, favoring auto traffic far above pedestrians. 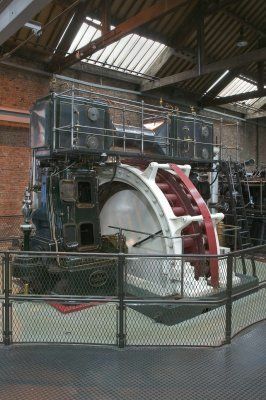 With a short intermission before my train departed to London, I took a quick stroll around the Museum of Science and Industry. Super cool! 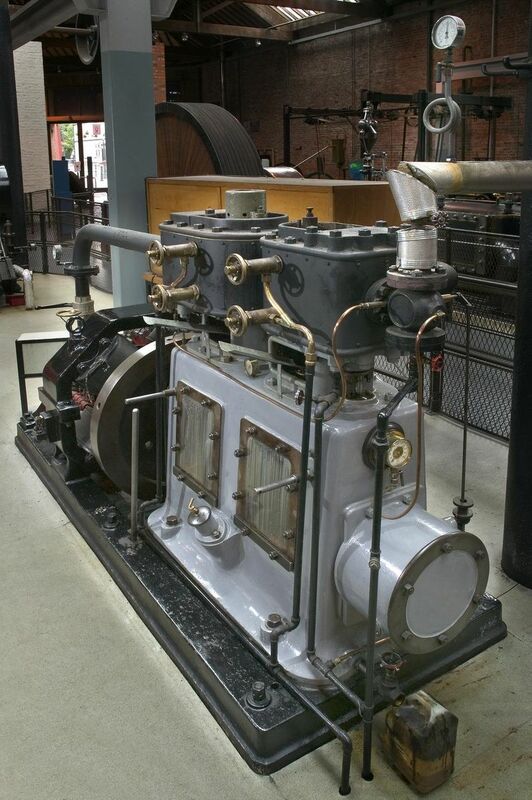 Manchester was one of the world's principal manufactory cities in the early 19th century, and this museum had a comprehensive set of machines from that era. I had about 15 minutes so only had the chance to skim through a single exhibit. 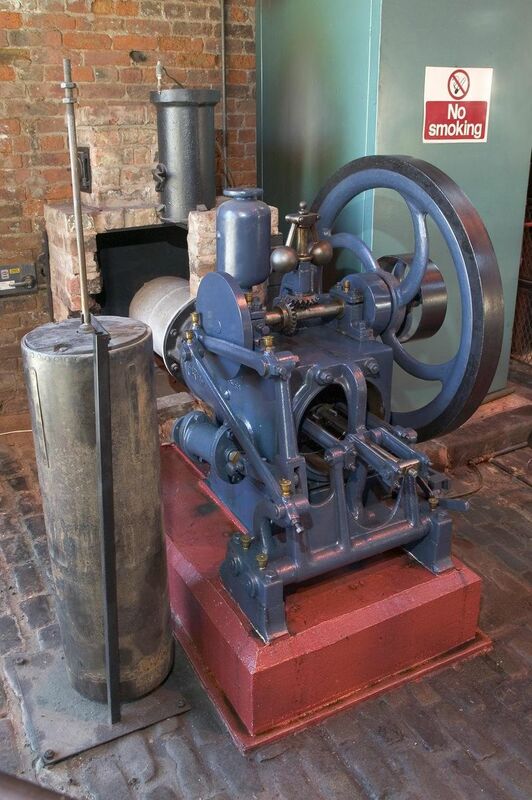 It was called Power Hall, and it displayed a progression of ways to generate power all the way from the early water wheel and horse gin to steam, hot-air, and oil engines. All national museums in Britain are free, which was news to me. I was in the UK for work, otherwise I would've taken advantage of this fact far more. Next time! The immigrants I met were clean cut and well-spoken, which was even more noticeable in contrast to many of the native residents' intoxication. There were exceptions of course, on both sides. Also my brief experience probably selected for the more fortunate immigrants since the most visible ones were those who ran restaurants and small business. I met woman from Uganda in the airport customs line who's getting a PhD in biology at Manchester University and working as a data scientist to make money on the side. The line was very long, so we had a nice conversation about programming languages and how she ended up in Manchester. The fashion aesthetic of most of the immigrants was more subtle than the animal prints: simple but good quality block-color activewear or, for work, tidy button downs. I don't think I've ever seen a woman breastfeeding in public in San Francisco, in part because we don't have very many children (more dogs than children in our topsy turvy city!) but also most mothers choose to do it in private. (Note: Without a kid of my own nor many friends with infants, my epistemic status of this claim re breastfeeding in private is ~60%—please correct me if that doesn't jive with your SF experience!) So I was a bit startled to see a woman with her blouse down to her waist, comfortably double-breasting twin babies in a cafe. I reflected on my reaction and decided it's probably not a good norm that this is so strange for San Francisco. We'd likely be better off if we were more amenable to public breastfeeding. For one, it would likely be a function of having more babies to begin with (you're less shocked to see breastfeeding if it's happening more often around you), and two it would make would-be parents feel more welcome in the city. I'm sure this aversion to public breastfeeding is not a major factor in couples' parenting decisions, but little cultural quirks like this do add up and are canaries for broader social problems. Perfumed interiors: heavy use of scents inside shops and restaurants. Pretty overpowering. British women love leopard print. Coats, skirts, blouses, lingerie, wallets, headbands... if it exists, the Brits have put leopard print on it. In general the style in Manchester leaned towards busier designs, brighter patterns, and lots more animal prints relative to the US (or SF, at least). Really not my thing, but it was certainly distinctive. All and all Manchester was one of the simultaneously most funny and most depressing places I've been. I expected it to be lifeless and depopulated, but I was wrong. The people watching was extraordinary. I don't have any real desire to go back, but I am curious what it'll look like in another 20 years.